it.vendor portal: Available as on-premise or cloud-based – you decide. With so many vendors using various platforms, and some of them not using electronic data interchange (EDI), managing your supplier database can be overwhelming. New solutions can help you maintain overview of your vendors as well as streamline processes for supply chain management to give you more time to focus on value-adding activities for your business. The it.vendor portal AddOn does exactly that – in a simple-to-use web application that organizes your supplier management into straightforward dashboards. To best serve your customers, you need to make sure you operate smoothly with your suppliers. Supply chain management software can support you with this, but many systems on the market are directed at larger companies. SMEs may therefore find these options too resource-heavy to make sense at their business. it.vendor portal helps you maintain a clear overview of your suppliers, regardless of your company size. Cost is based on your number of vendors and the application is available as an on-premise solution or based on the SAP Cloud Platform – depending on your needs. With easy access for your suppliers via login, the AddOn enables a self-service method which makes it much simpler and more efficient for them to communicate with you as the buyer. Collaboration between you and your vendor is simplified with purchase order management, shipment information, delay notifications, and quality management directly entered, stored, and accessed within the application. As an intuitive, web-based tool, little training is required to use it.vendor portal. 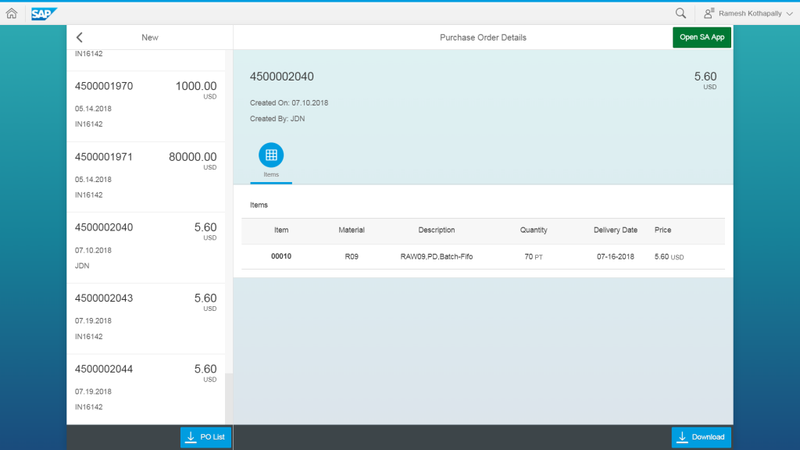 Its user-friendly interface also includes apps from SAP Fiori, allowing it to integrate well into your SAP landscape. We are retiring 4 legacy systems, over 4 continents, and selected the itelligence it.vendor portal solution as the SAP replacement. With it.vendor portal, we centralize the complete user interface for our supply chain partners who are non-EDI suppliers. Are You Facing These Challenges with Your Supply Chain Management? Does your supply chain management software support you optimally? Do you have all supplier data at hand? Are you processing orders automatically? Are changes and confirmations easily visible to you and your suppliers? Is data transfer efficient and cost-effective even with non-EDI vendors? If the answer to any of the above is ‘no,’ you might like to take a look at it.vendor portal. The application enables you to manage your supply chain more efficiently and gives you more time for value-adding business activities. it.vendor portal: What Are the Main Benefits? Dashboards for details such as order executions, stock, and forecasts help you keep a clear overview of your entire global supply chain. If you request changes, based on up-to-date information about stock or pricing, your suppliers will be able to view these when they log in. 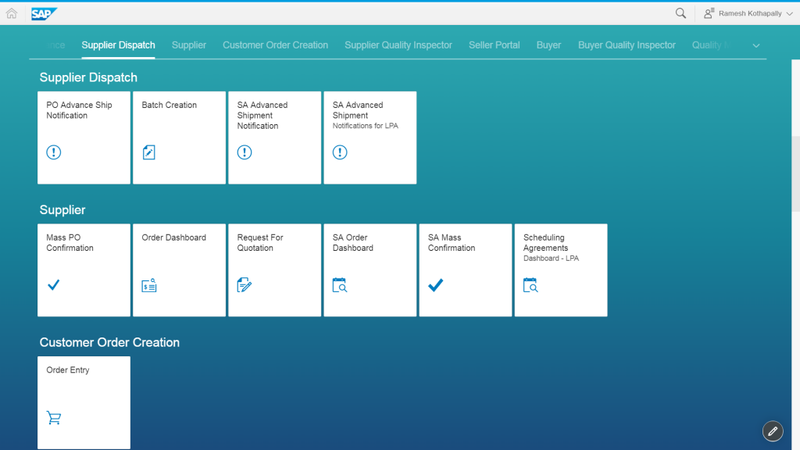 When your vendors log into the portal, they receive a full overview of all activities in the supply chain from orders to invoicing and dispatch. They are able to make changes to orders, based on current pricing or inventory, and share the information directly in the application. You can then confirm or reject these accordingly, minimizing the need for communication via phone or email. As the portal is web-based, total cost of ownership is low. Customers have the choice of either an on-premise version of the tool or a cloud-based version running on the SAP Cloud Platform. The price for it.vendor portal is fixed, as is the timeline for deployment, so you know exactly when you will receive the tool and what costs will occur. Forecasting is much more accurate with it.vendor portal. 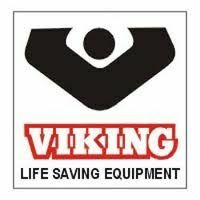 Easily identify which locations will require which products at what time, so that you can schedule purchasing and dispatch in advance. Dealing with suppliers that do not work with EDI often requires additional resources and time. 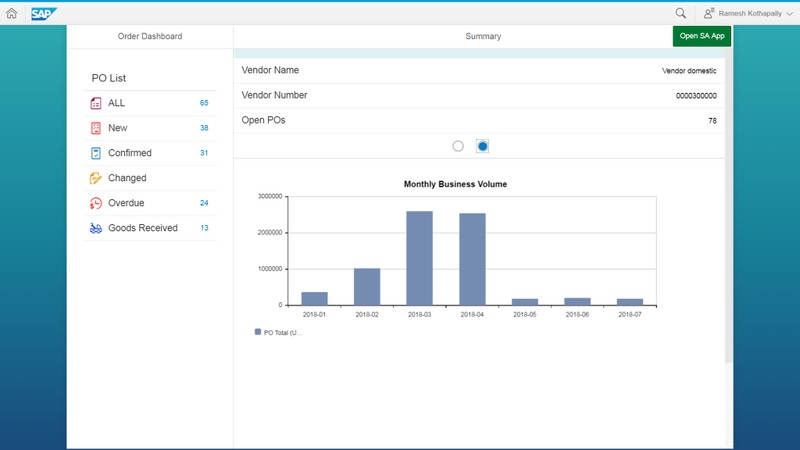 it.vendor portal alleviates some of the expense of dealing with those suppliers without the need for a larger, more complex solution such as SAP Ariba. This is a great advantage for SMEs. Along with a significant reduction in buyers’ time spent expediting purchase orders, we expect enhanced visibility to our MRP processes to allow better workforce utilization on the receiving floor and more firm / reliable supply of direct materials to production. Are You Looking for a Simple and Effective Tool for Supply Chain Management? it.vendor portal is a cost-effective solution that boosts efficiency across the entire supply chain. The application automates key processes, such as purchase order confirmation, advance shipment notification, and inbound delivery for increased efficiency. Changes and updates to orders can be made directly in the portal, which eliminates the need for excessive email and telephone conversations between you and your suppliers and gives you more time to focus on your core business. 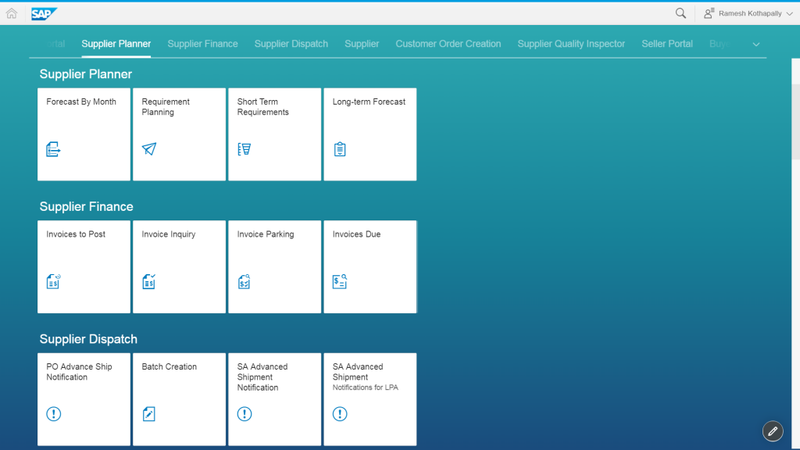 Overall, with it.vendor portal, you receive an intuitive tool that provides a user experience that is used both internally at your company and by your suppliers. In this way, all users have one central portal for information to promote efficiency and trust. it.vendor portal is an AddOn developed by itelligence. We continuously develop our own solutions, working closely with our clients to create a product that is of real value to you. More than 6,000 customers already trust in our solutions and services. Next to our certification as an SAP Platinum Partner, we are an official SAP Hybris Regional Gold Partner, and have won numerous SAP Pinnacle Awards – a clear reflection of quality, leadership in technology, and customer proximity. Our portfolio ranges from SAP consulting and licensing to SAP industry solutions, Application Management Services, and Managed Cloud Services. As a member of the NTT DATA group, we have leading-edge resources available to support you and provide thought leadership. And, with data centers located throughout the world, we deliver support wherever you need it. Balance supply and demand in spite of dynamic markets, shorter product life cycles, and demand fluctuations with itelligence and SAP. Looking to bring a new level of consistency to your supply chain management? We show you how in our expertise brief. We help you boost your supplier management with the right solution. See for yourself and ask for an exclusive demo for free. Already convinced? Order directly, now. Are you looking for further information on it.vendor portal? Do you require more detailed advice from an expert?